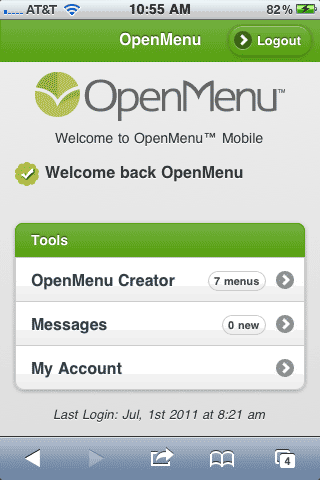 Today we are officially releasing OpenMenu Mobile. 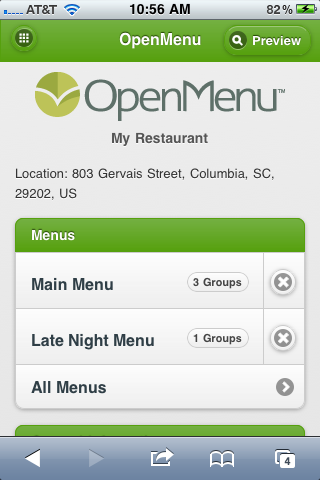 OpenMenu Mobile allows restaurants to manage their restaurant on-the-go from most smartphones. All the functionality you’re familiar with on our main site is now available through our OpenMenu Mobile site. Powerful, familiar and easy to use. OpenMenu Mobile means you’ll be able to manage your menu from your phone and not be tied to your computer anymore. This is a big step for OpenMenu in providing a complete solution to restaurants. Thank you. Looking into this. Should have responded earlier but this has been fixed.